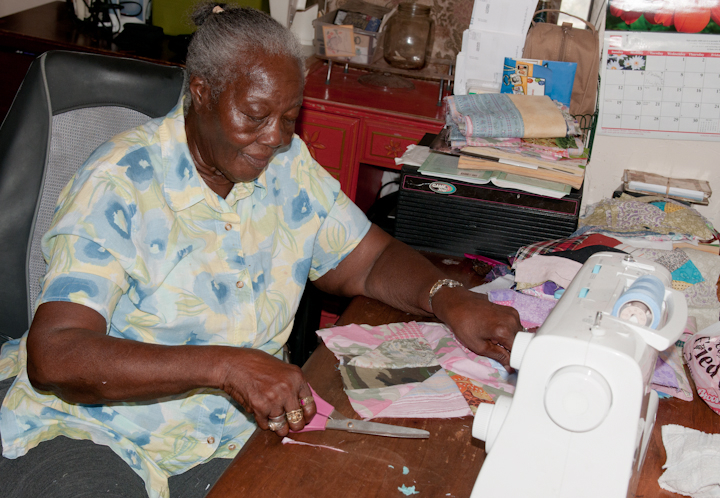 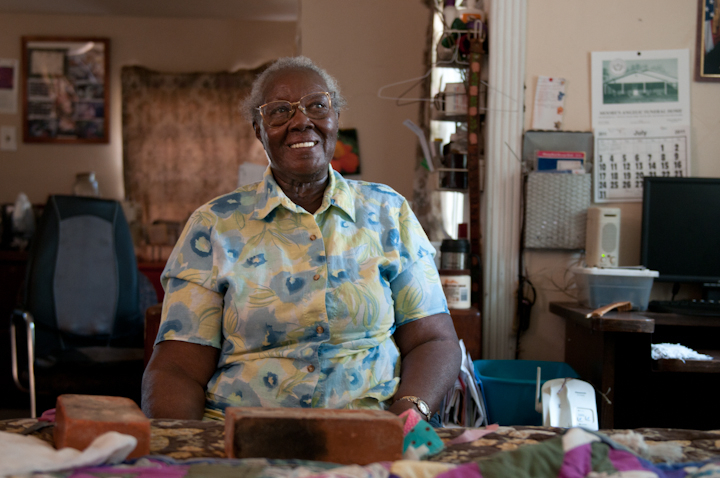 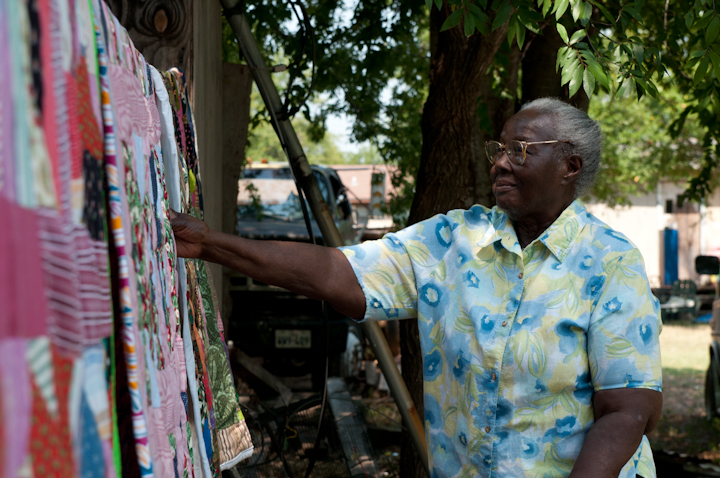 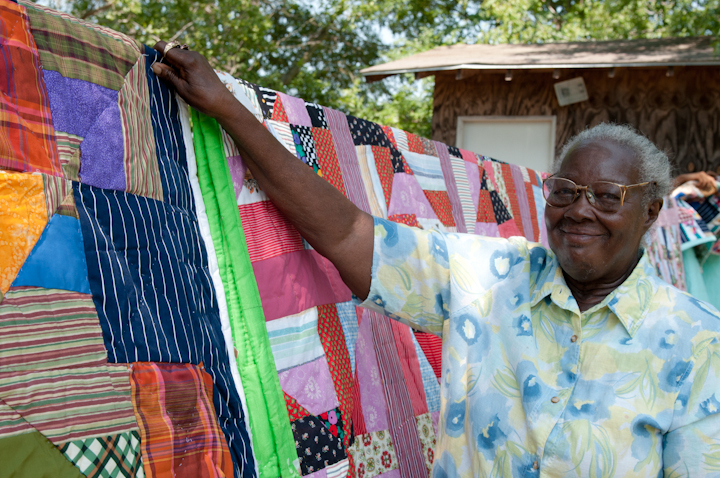 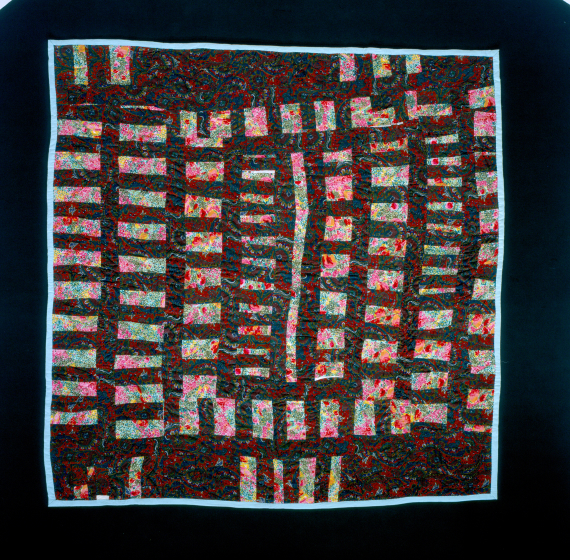 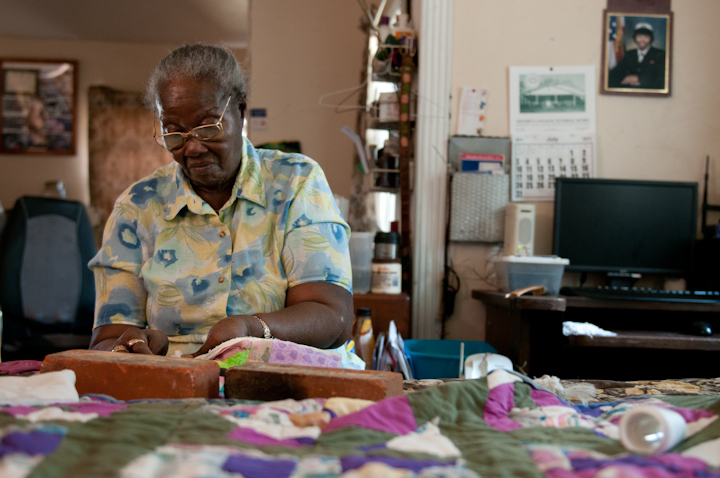 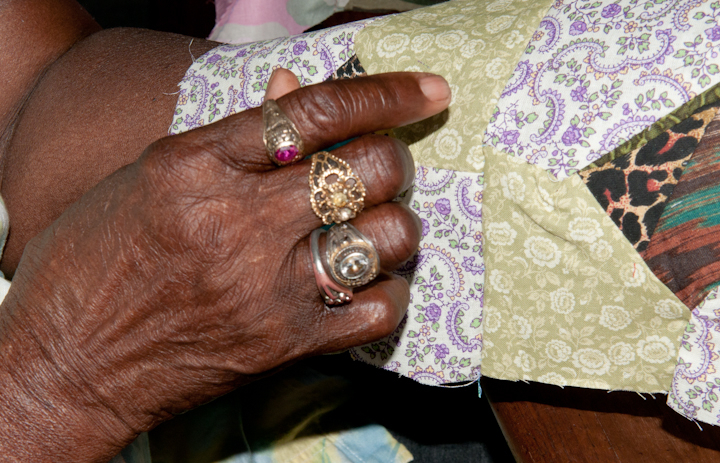 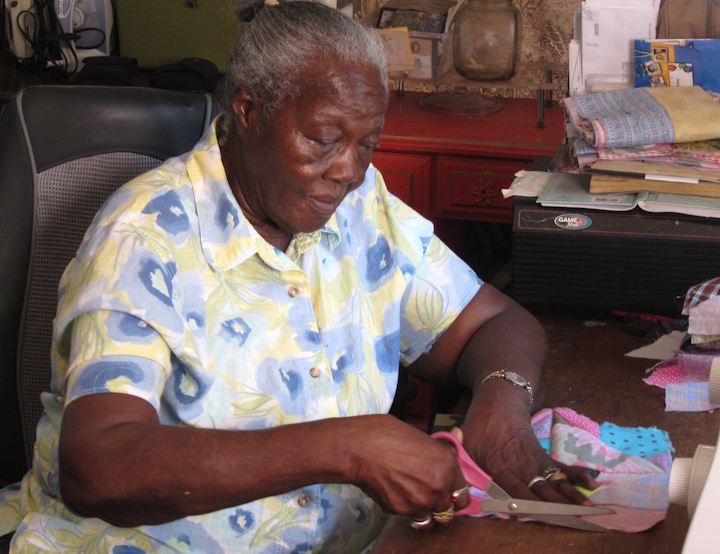 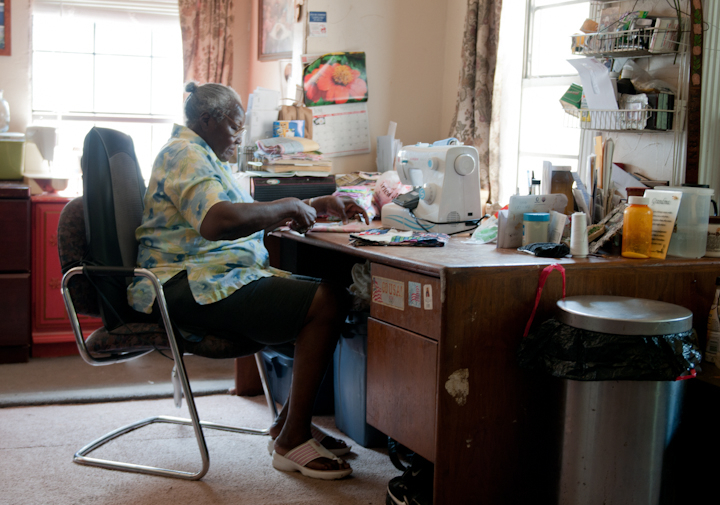 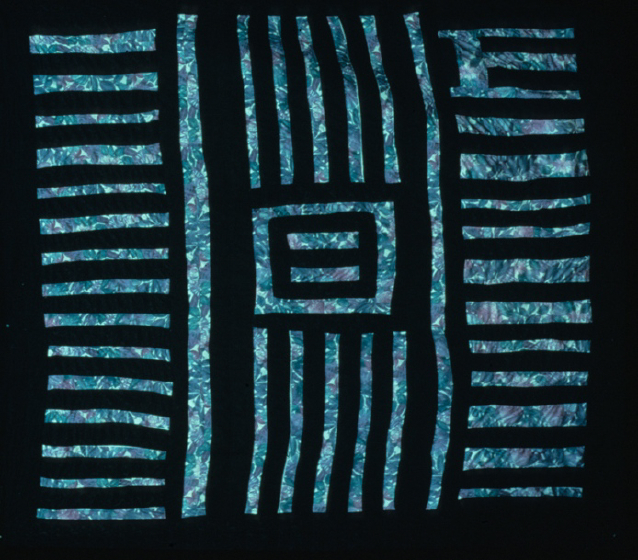 Brackens’ art represents a tradition of improvisational quilt making that has been recognized as a unique part of the African American heritage, a counterpart of blues and jazz. 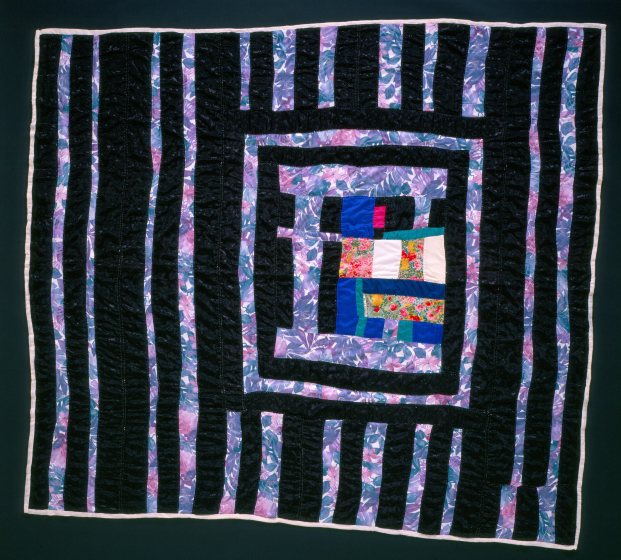 Her quilts are distinguished by an off-center centerpiece, rotating printed stripes and both vertical and horizontal striping. 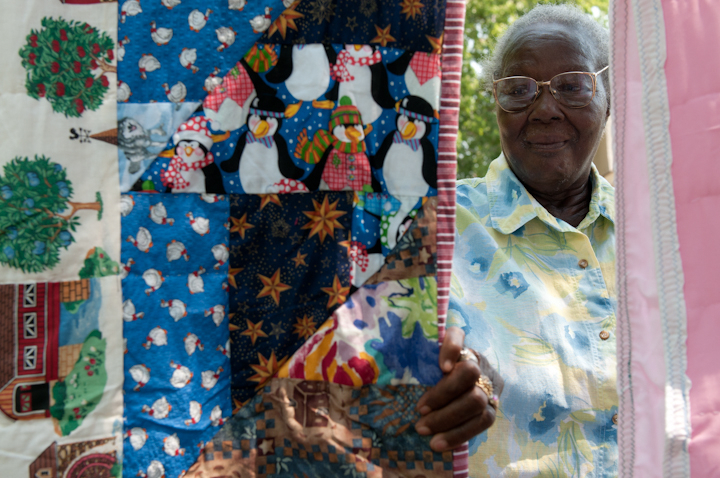 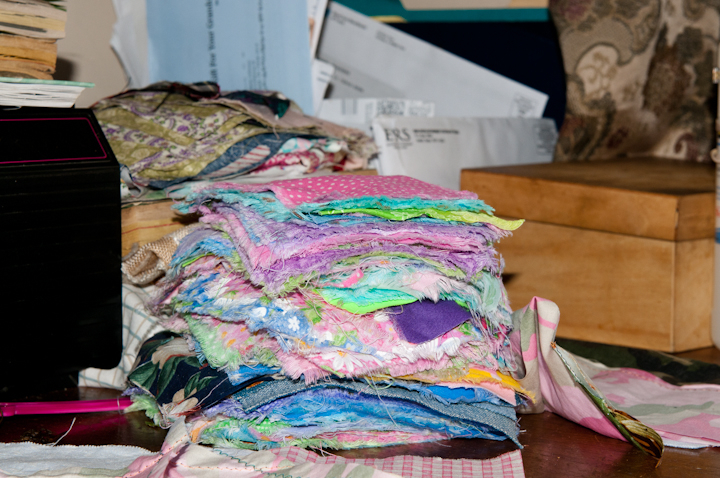 “If you piece them all where they hit right together, every quilt you piece is going to look just alike, and if you twist it up a little bit, it’ll make the quilt look different,” she said. 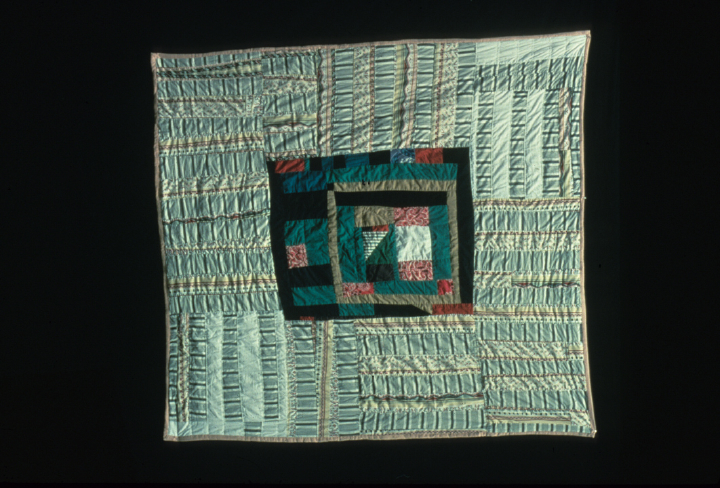 “I just like to take a simple quilt and give it a different look. 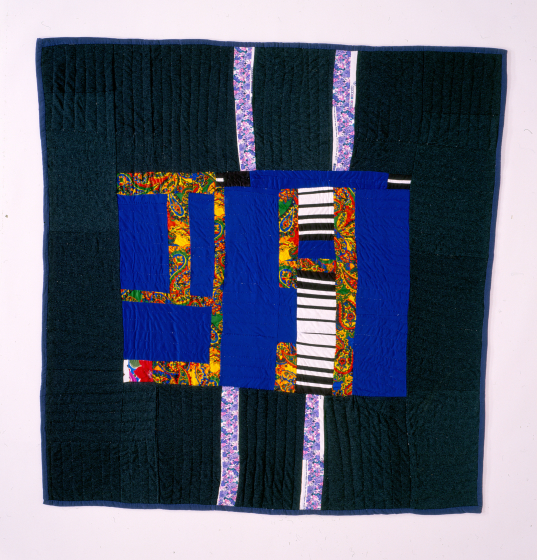 That’s what I be trying to do.” The unusually prolific artist enjoys placing letters and numbers in her designs. 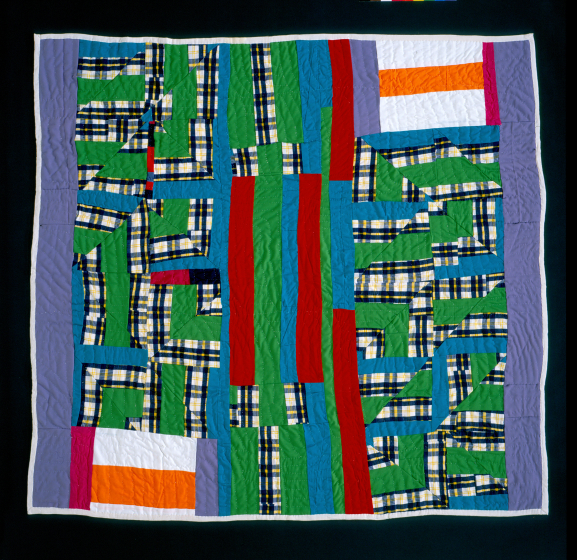 A granddaughter’s eighth birthday inspired her to create a pattern that employed the number 8 in interesting and creative ways. 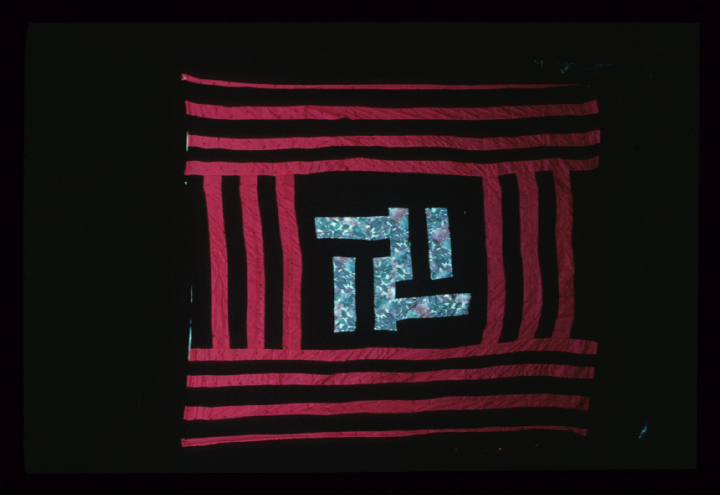 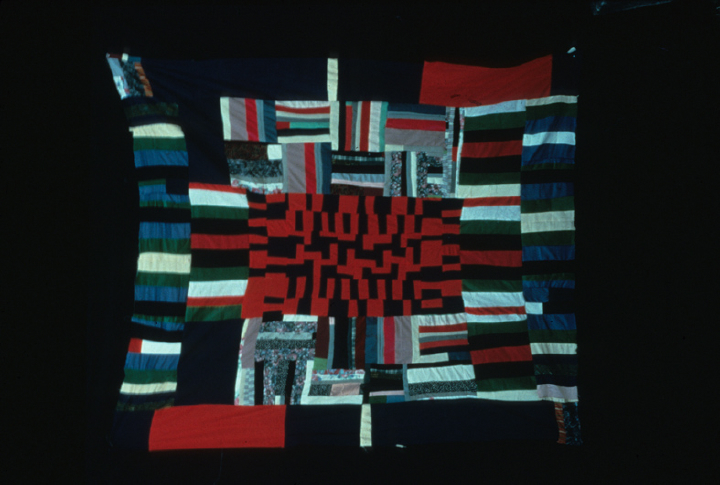 The letters may have a meaning, as when she used “W” and “H” in a quilt for her father, Willie Henry, but in other instances, words and letters are used simply as graphic elements. 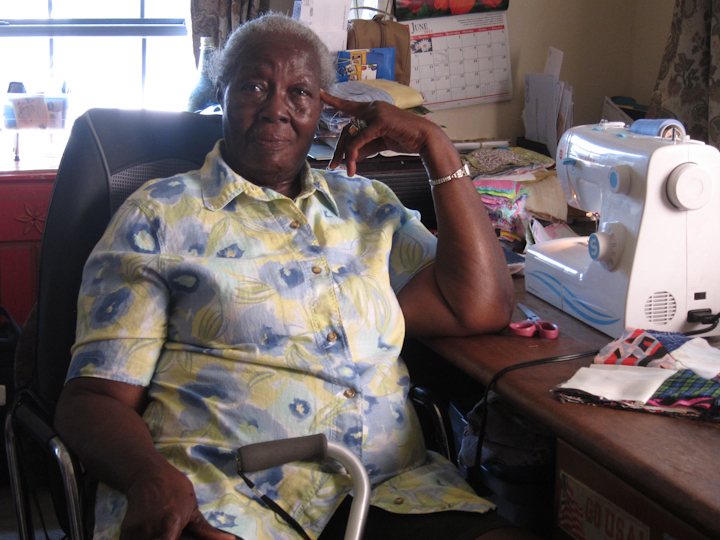 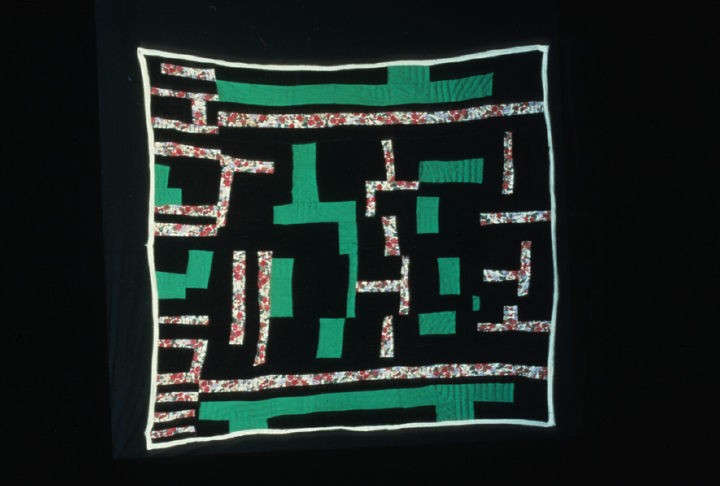 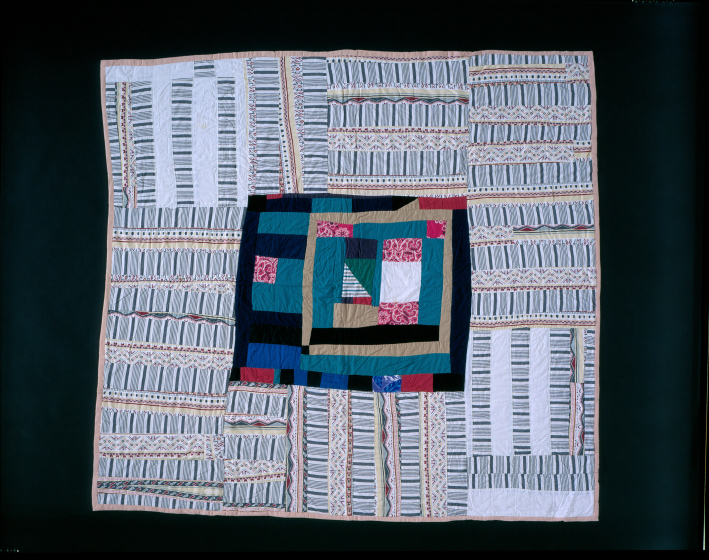 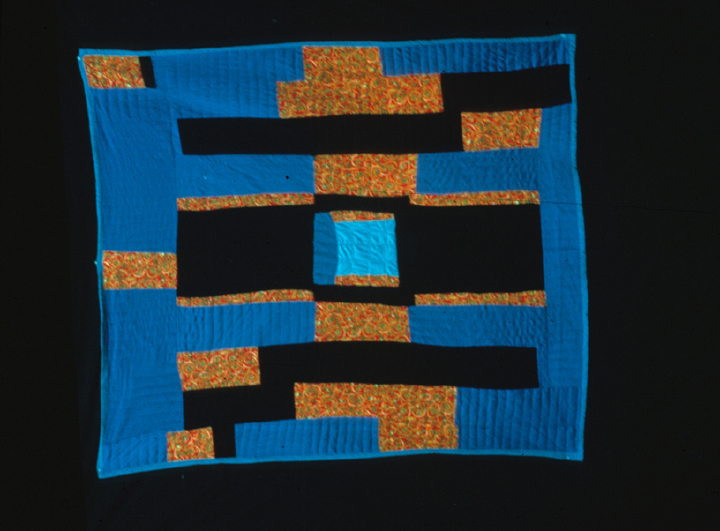 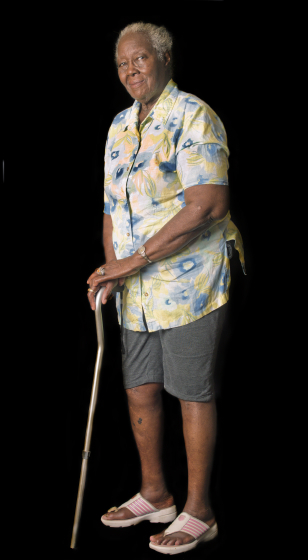 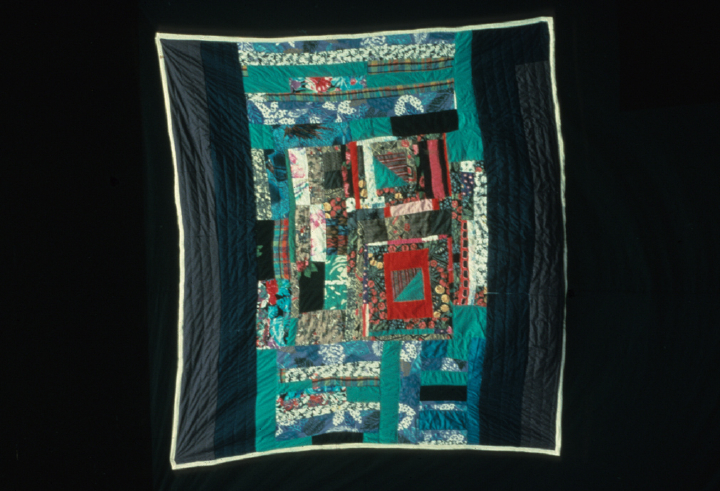 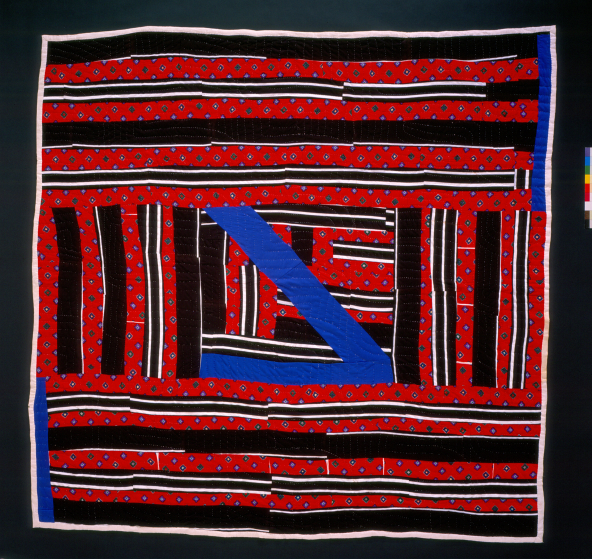 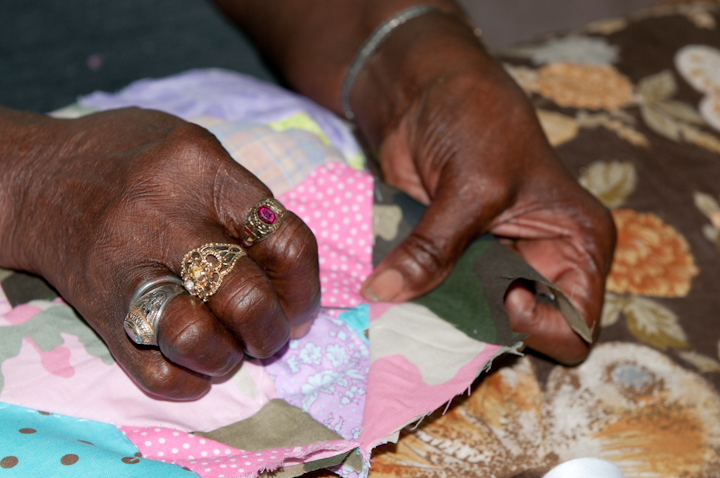 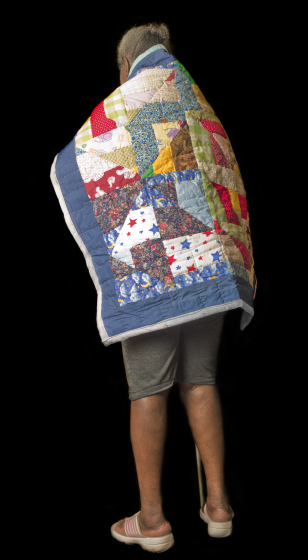 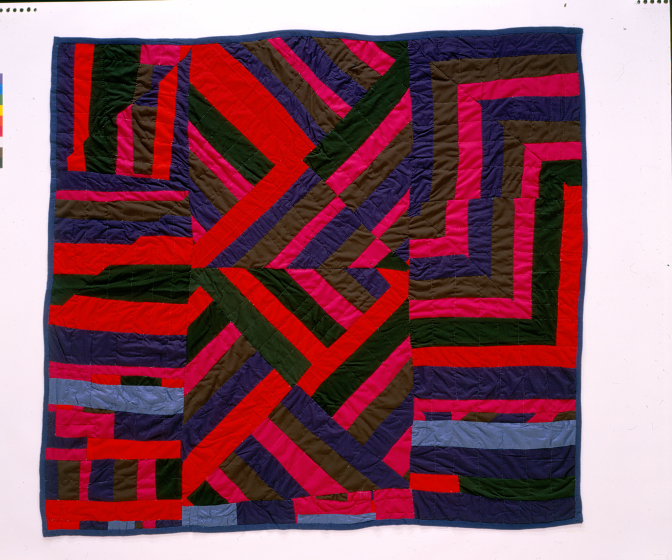 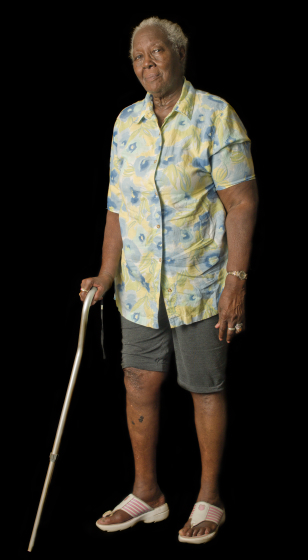 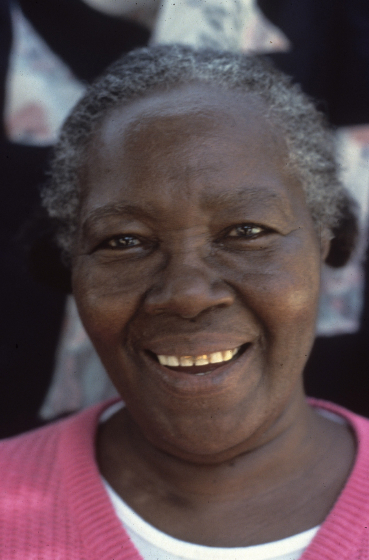 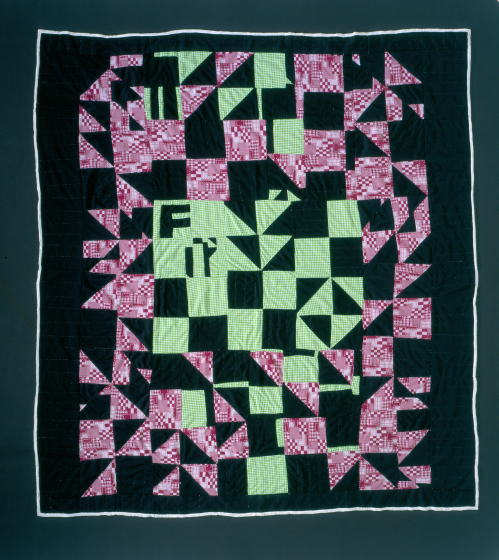 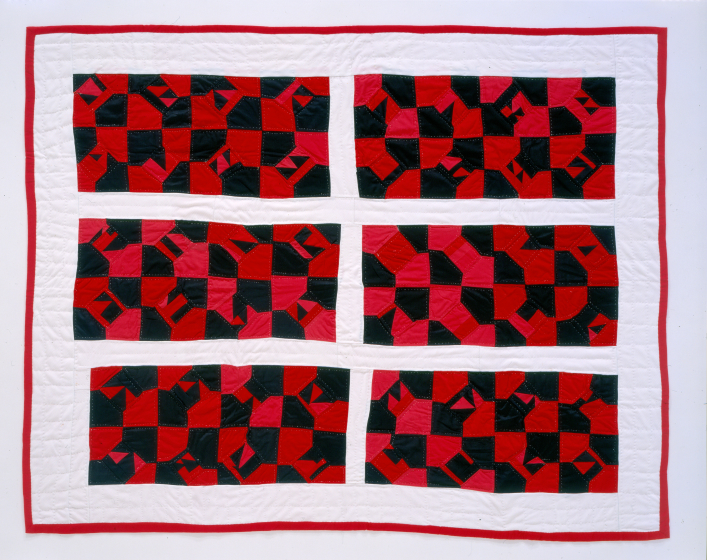 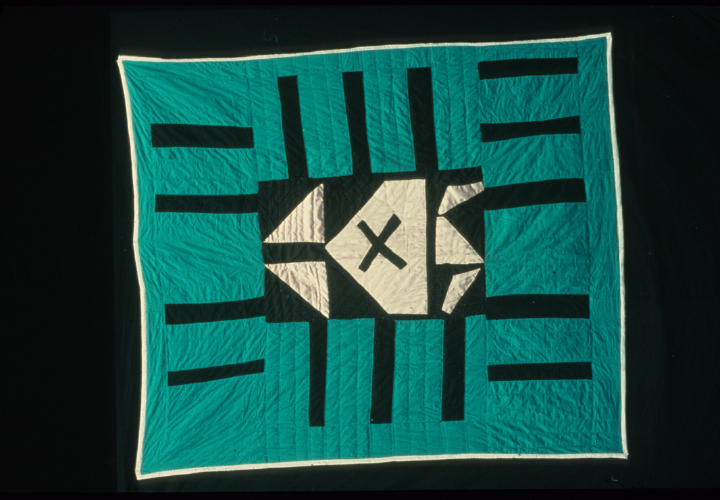 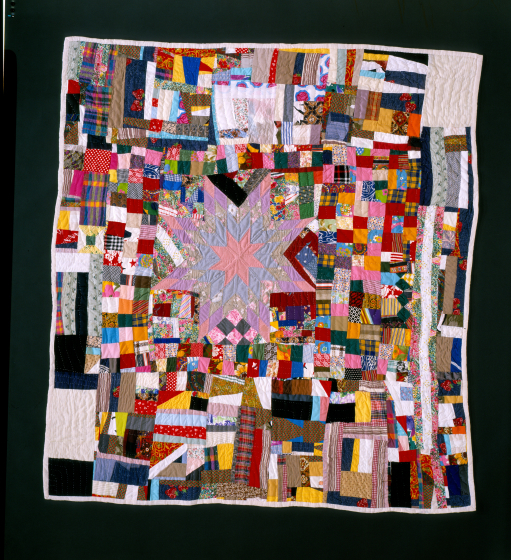 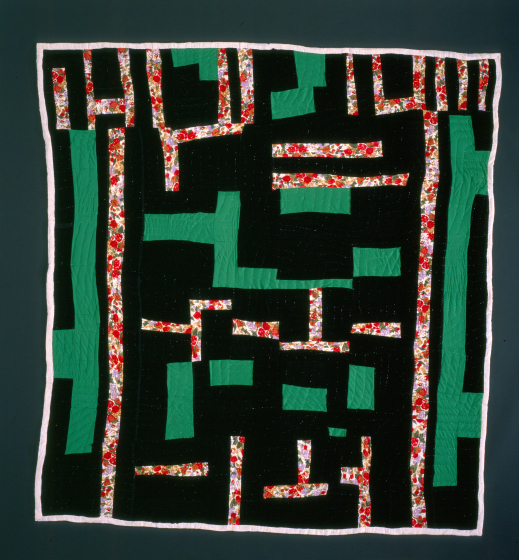 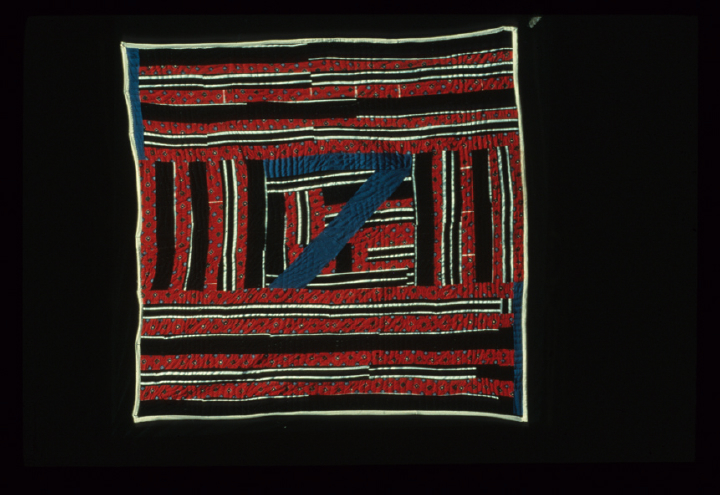 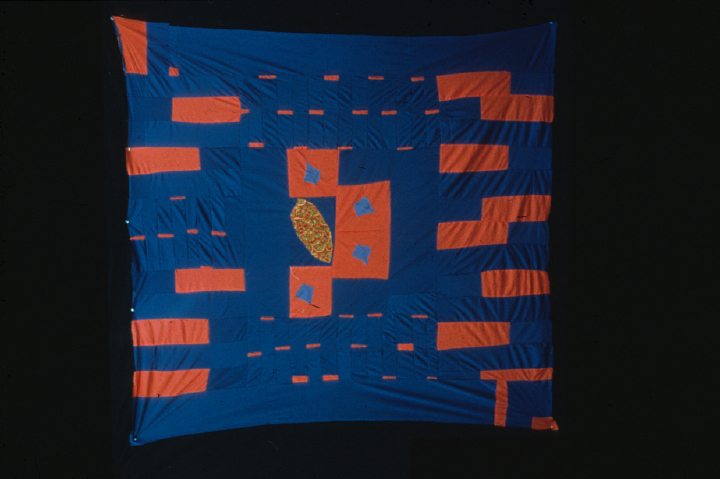 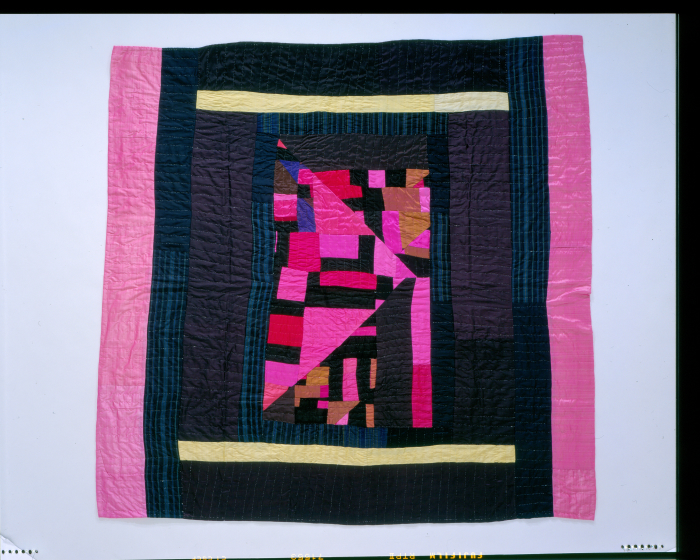 In 1996, Brackens’ work was displayed with that of her mother, her daughter Sherry Byrd and her granddaughter Bara Byrd in “Four Generations of African-American Quilters” at the High Museum in Atlanta. 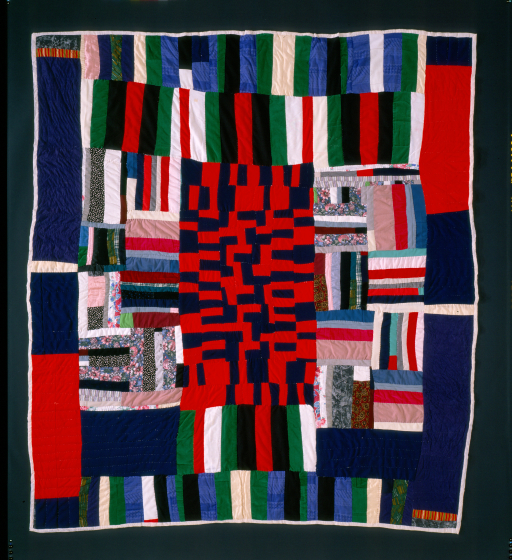 This evolved into the 2006 exhibit and catalog “Will the Circle Be Unbroken: Four Generations of African-American Quilters” at the Museum of Craft and Folk Art in San Francisco. 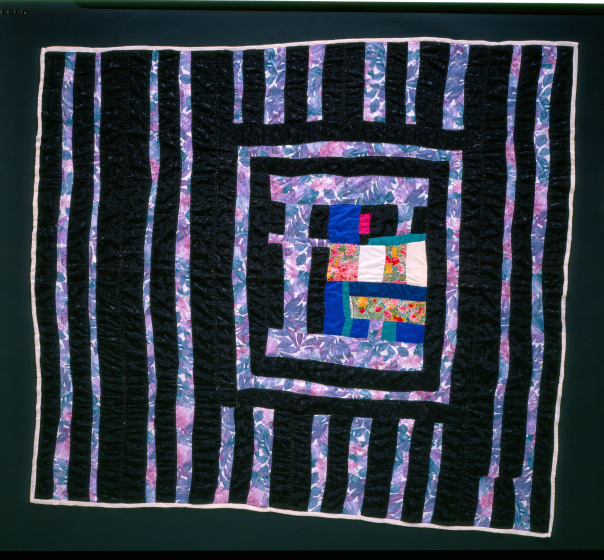 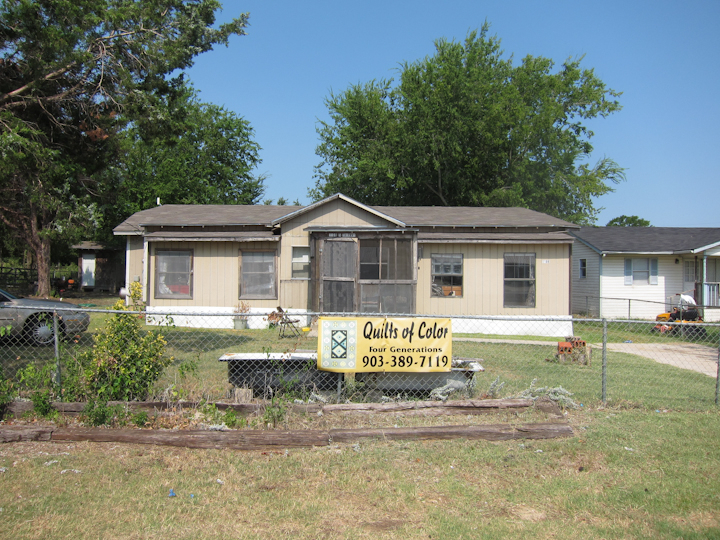 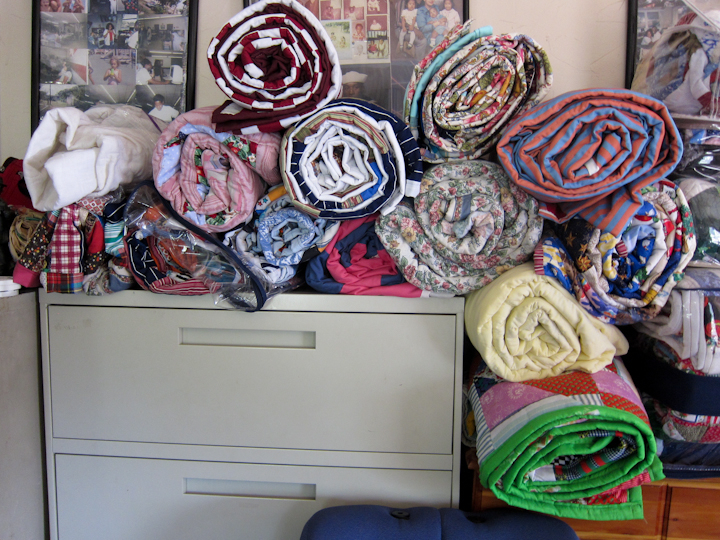 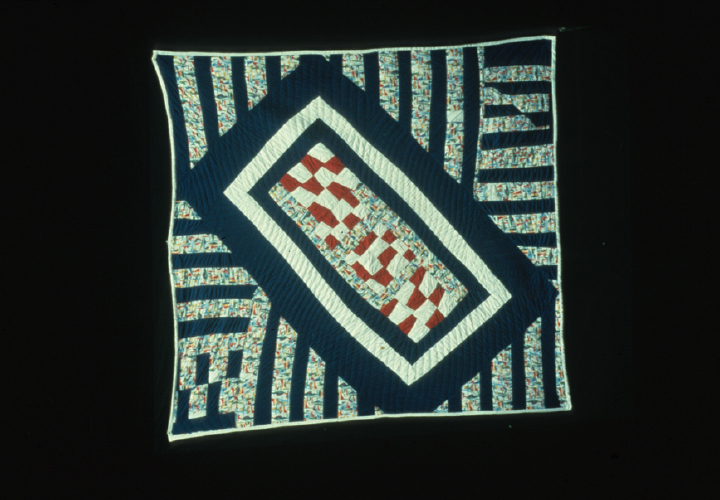 The show coincided with a filmed interview with Brackens by the museum’s exhibition manager, Karin Nelson, and was followed by an article, “One Family’s Quilted Legacy,” in the October 2006 issue of Quilters Newsletter magazine. 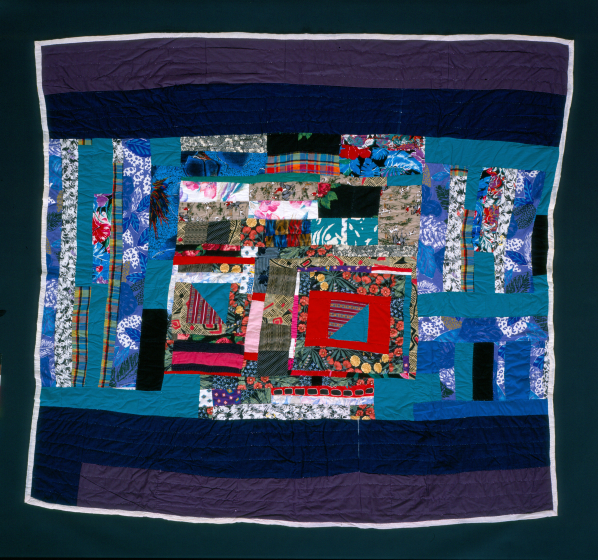 Brackens’ art has been recognized in Texas as well, in a 1999 Texas Folklife Resources exhibition, “Quilts of Color: Three Generations of Quilters in an Afro-American Family”; in a 2001-2002 exhibit, “Storytelling: One Stitch at a Time,” at the Texas Memorial Museum of Science and History in Austin; and in a documentary, Family Quilts, broadcast by the television show Texas Country Reporter on October 28, 2006 (show No. 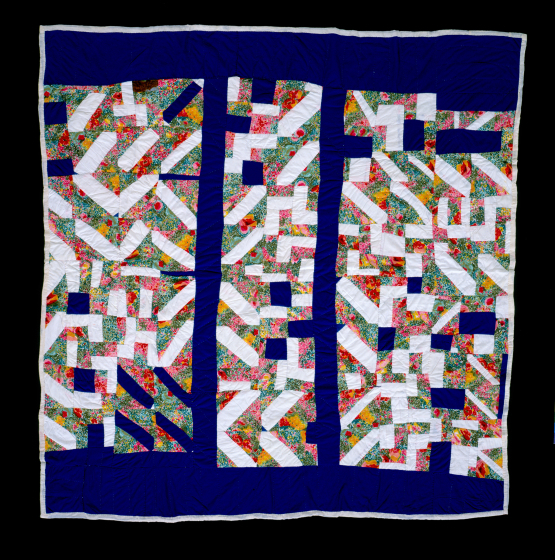 1,000). 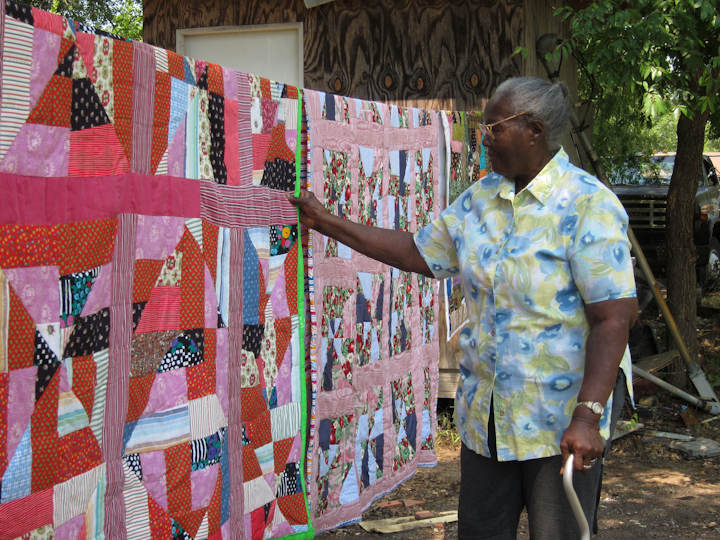 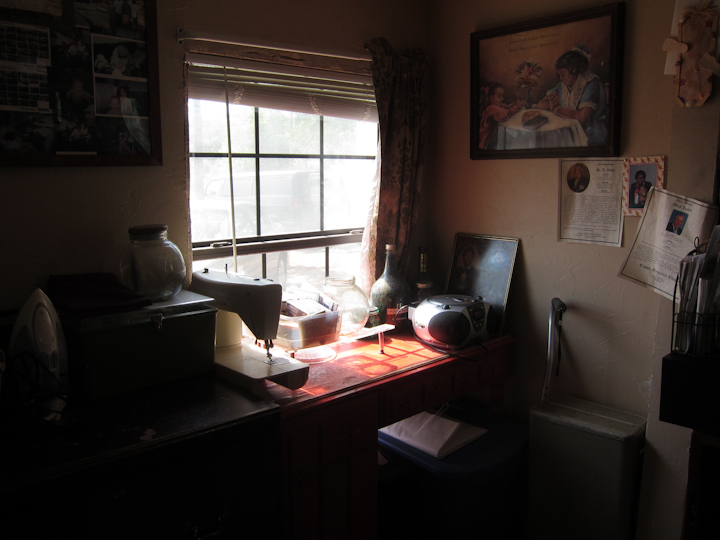 The Texas Memorial Museum owns two of her quilts, and Chicago’s Bessie Coleman Library features her work, along with that of another African American quilter and NEA heritage fellow, Arbie Williams of Oakland, California. 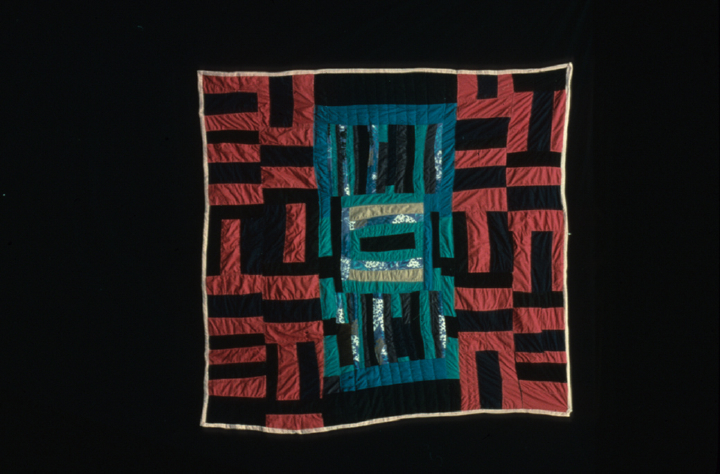 In 2011, first Lady Michelle Obama commissioned a Brackens quilt as a gift for first lady Kim Yoon-ok of South Korea.